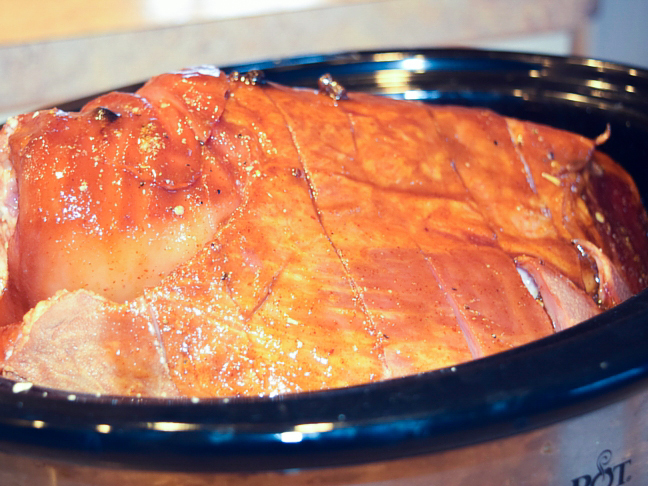 A white wine glazed ham is my easy go-to recipe for any special occasion where we’re expecting family over. The herbs combine with sweet pineapples and melted brown sugar to create probably one of the easiest “special occasion” main dishes I make. The best part about this recipe is that you can easily place all of your ingredients into a slow cooker, set it, and spend your time outside of the kitchen while your dinner takes care of itself. Since the recipe calls for an already cooked ham, you can keep your slow cooker on low all day, which makes for a very tender and juicy ham. Plus, the smell of ham cooking all day is a must on Easter. Make the glaze thirty minutes before you’re ready to serve your guests (and save some extra wine for yourself). Step 1: Place your ham into a slow cooker and cut slices across the ham. Step 2: Then, drizzle canola oil on top and sprinkle Mrs. Dash onion and herb seasoning over the entire ham. Step 3: In a skillet on low heat, mix honey, spicy brown mustard, and dark brown sugar until melted and pour over your ham. Step 4: Set your slow cooker on low and cook for 5 to 6 hours. 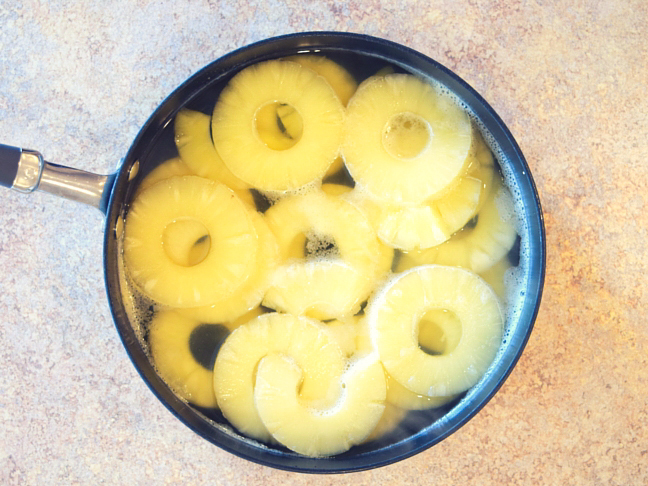 Step 5: In another skillet on low heat, mix white wine, pineapple slices, and sugar and let simmer for 10 minutes. Step 6: Remove the extra juice from your slow cooker to avoid it overflowing, and pour your white wine glaze on top. Step 7: Cook on high for 30 minutes, and then let it sit for another 10 minutes. 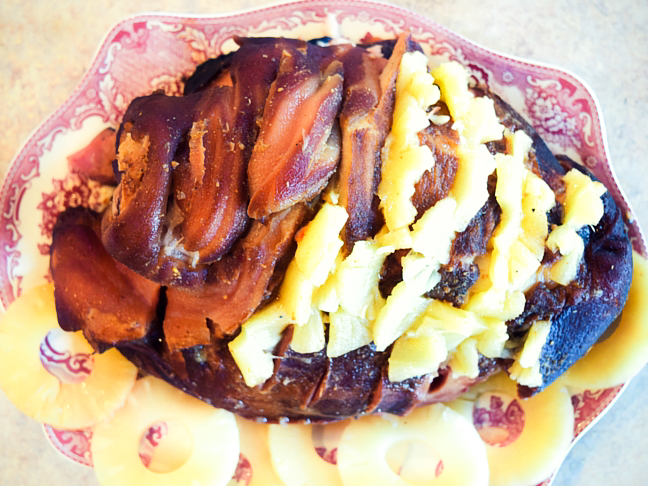 Step 8: Serve your ham on a platter, and use the cooked pineapples as a garnish.